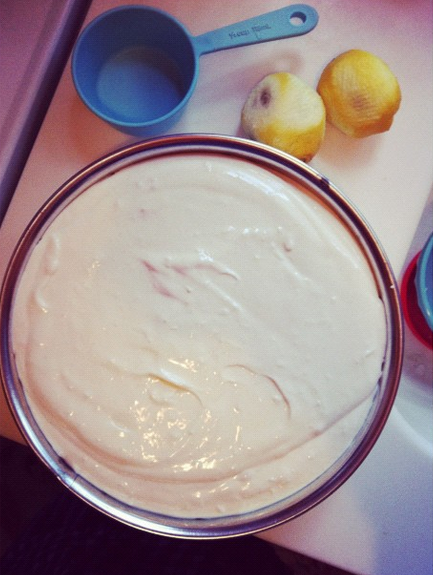 I am currently making a cheesecake for our Thanksgiving meal. For the first time in his almost 8 month long life, I allowed little Jude to watch a little "tv" (or computer? Ha! Same thing these days.) 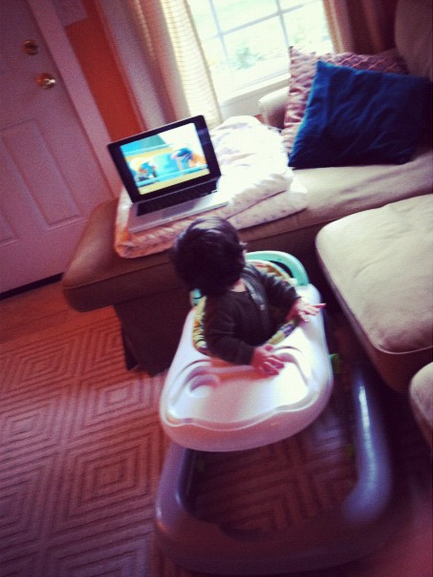 He preferred turning his car around and straining his neck while enjoying some Elmo. Good job kid. 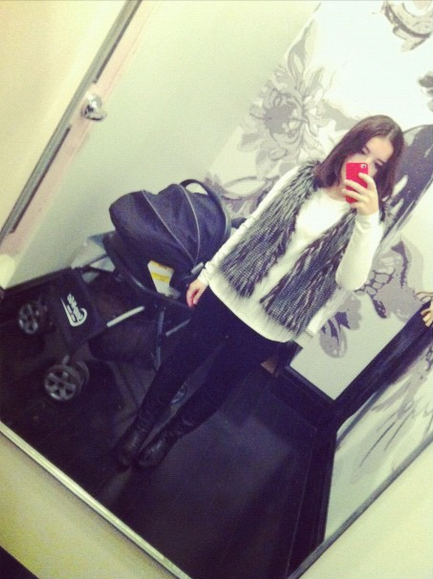 I decided to give into my crazy fur vest craving. Later that day a nice little Asian lady at Trader Joe's laughed non-stop while looking at me in my gorgeous vest and then shrieked "YOU LOOK LIKE CHER!" Thanks wonderful little Asian lady. That definitely boosted my confidence about said purchase. 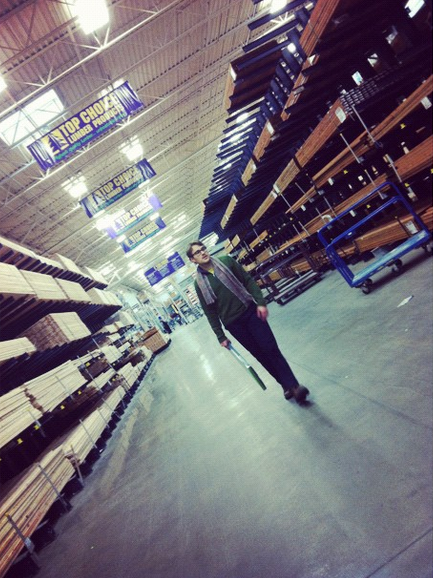 We went to the hardware store to get some home projects done. I pulled out this glitter man from storage, how festive! 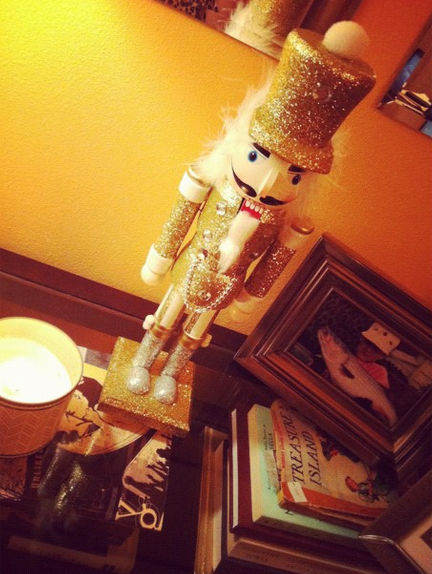 Husband begs me to call him a nutcracker, but I think "Glitter Man" is much more appropriate. I also told him that Glitter Man is going to need a glitter friend. Just saying. And that's about it. What's happening around your way? Are you getting ready for Thanksgiving? If so, what are you cooking?